I have always been fascinated by the artistry and craft of fine art glass artists, so I was thrilled to talk with Greg Mattson and his partner, Frank Dobronte, of Mattson’s Fine Art. 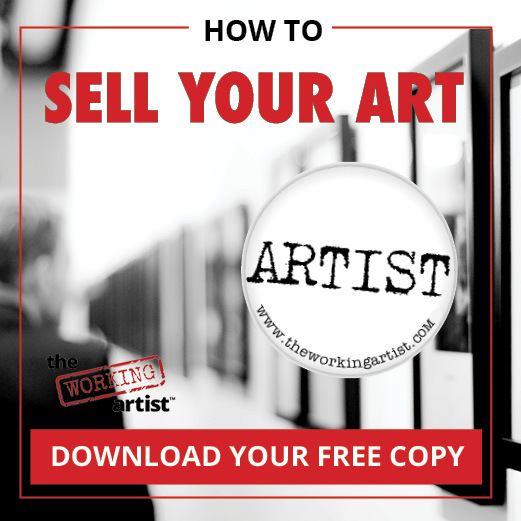 Their business specializes in bringing an amazing genre of artwork to the market. Their passion for the medium and for the artists they represent is apparent when you watch their interactions with artists and collectors and see the range of artwork they represent. How does Mattson’s Fine Art present itself, and how has the company achieved its success? The answers reveal an unconventional story. 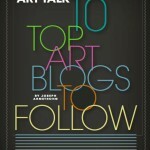 Art Business News: How was Mattson’s Fine Art founded? Mattson’s Fine Art: Greg’s passion for art and antiques has always been one of his business guides. For 35 years, he owned and operated an importing company, International Trade Consultants, which took him all around the world. As he traveled, exploring and collecting along the way, he became fascinated with the unusual glass and art nouveau techniques of early glass craftsmen like [Emilé] Gallé, [René] Lalique, and [Louis] Tiffany. He wanted to delve deeper into the fragile art of a glassworker. 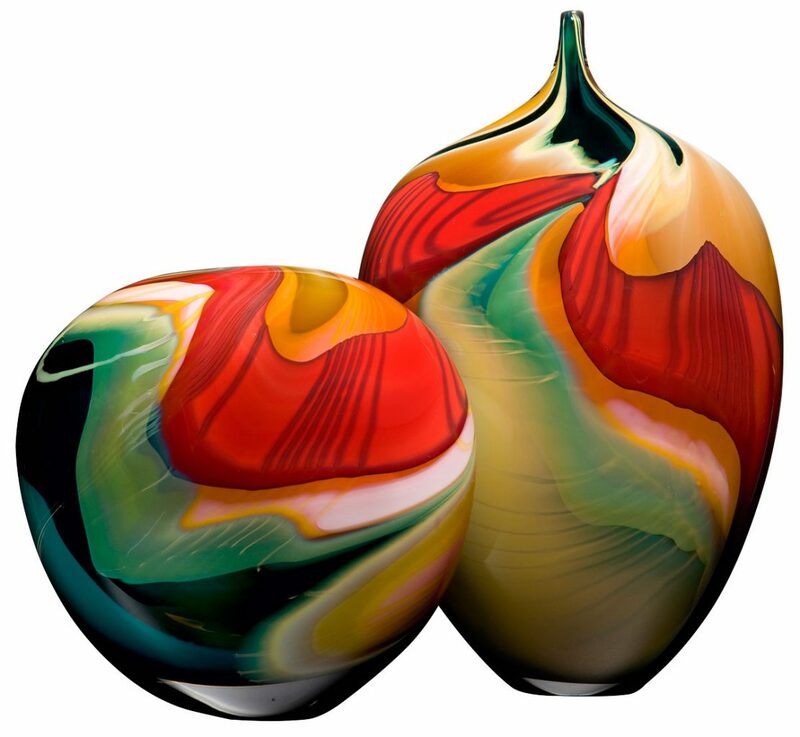 In 2000, while working in Eastern Europe, Greg met several Polish glass artists. He loved the work so much that he invested in the glass and shipped it back to the United States, and Mattson’s Fine Art was created. With his business growing, Greg realized he needed a partner who would share his passion for building artist relationships and have a background in and understanding of the business. He met Frank Dobronte, and the rest is history, as they say. Frank became the director of marketing, working in tandem with Greg. His background in gallery operations and fine art publishing, along with expertise in sales and marketing, was Greg’s perfect complement. ABN: Mattson’s Fine Art is not a gallery operation with a storefront. What is your business model, and how do you operate? MFA: We don’t have a physical gallery space. We operate as a representative agency, representing some artists exclusively and others in tandem with the artist’s self-representation. Our primary business is developing and selling the artists’ work into galleries, both domestically and internationally. 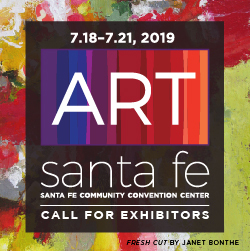 We participate in several fine art shows annually that give us all the physical presence we need: Artexpo New York, Spectrum Miami, SOFA Chicago, and a couple of others. We also have a very robust website, where galleries and collectors can see the artists’ work, read about them, and then let us know what interests them. We’ve found it to be a great model that is working well for us. ABN: How would you describe the vision for the company? MFA: We see ourselves as patrons of the artists. We work based on the vision of continuing to grow and promote their beautiful glass artwork throughout the United States through both traditional avenues, such as art galleries, events, and fine art shows, and nontraditional avenues, such as web marketing and social media. ABN: How do you select the artists you represent? 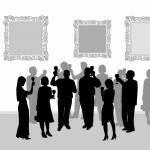 MFA: Currently, the artists are referred to us by gallery owners or approach us at art shows like Artexpo New York. If we like their work and they fit with our group of artists, we will initiate a trial period with them. If there is a positive response, we create a relationship. All of the artists we currently represent were recommended by one of our artists or galleries. We’re always looking for artists that bring something special and different to the mix. 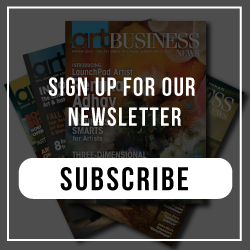 We think you can look at the artists we represent and see exactly what we’re looking for and what we expect in terms of the development of their skills and collectability of their artwork. It’s a full range of fine art glass and sculpture. Alexis Silk is one of our top five artists. She works with hand-sculpted hot glass to create life-size sculptures. Peter Layton is an English glass artist who started one of the first hot-glass studios in Europe, and today London Glassblowing is the premier studio where Peter and other fine art glass artists create their work. Then there’s Afro Celotto, a master craftsman with his own studio in Murano, Italy, who has studied and worked beside some of the best glass artists in the world. 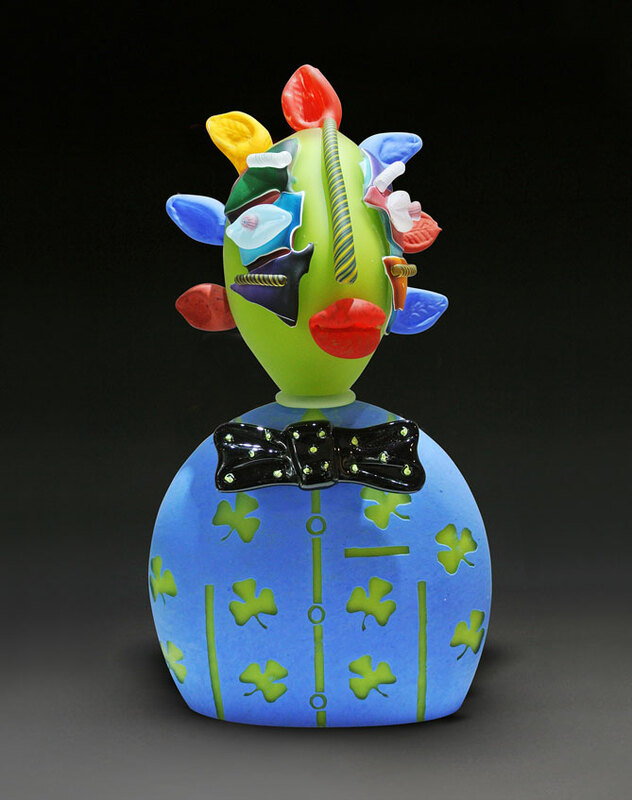 We represent him exclusively in the U.S. James Wilbat is a glass-fusion artist who brings together abstract design with a playful use of color to create pieces that combine the tradition of fine art glass with innovation and whimsy. 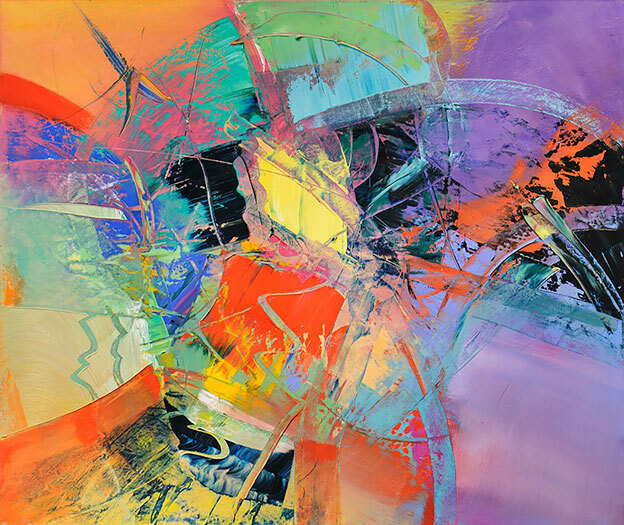 Rounding out our top five is Dinah Cross James, an abstract painter who takes Mattson’s away from glass and into the world of original oil paintings. Her work, which shows extraordinary use of color and breadth of technique, serves as a complement to our art-glass offerings. ABN: What differentiates these artists and Mattson’s from competitors? MFA: We think they are all amazing and have wonderful stories about their artistic journies and the inspiration behind the creation of each piece. Silk’s work is certainly innovative. Her glass figures combine life-size blown-glass sculptures with cast iron and steel, merging the fluidity of glass with the strength of metal. She works in California and Italy, where she amazes the experienced glass masters around her with her innovation, pushing the boundaries of what is possible to sculpt freehand with the hot glass. After studying in the U.S., Layton went back to England and opened London Glassblowing, a collective where artists from all over come to create their work. This interaction influences Peter and energizes his continual pursuit of the seductiveness of molten glass. His use of color is amazing; he creates pieces that look like they were painted instead of mouth-blown from hot glass. What can we say about Wilbat other than that he’s as much fun as his line of Curly Sculptures? He’s a master at assembling multiple parts to create the final colorful expression of his design concept. Beginning his art journey in ceramics gave James the idea of manipulating the material to get his desired results. When he discovered glassblowing, he never lost the idea of making the medium bend to his design. ABN: What do you see as the most important artwork categories for you—both now and in the future? MFA: Beautiful fine art glass will always be our main focus. We love the movement and beauty of glass. Metal sculpture will be second, as we appreciate the three-dimensional aspects it brings to art. Paintings and jewelry round out our selection of artists, completing the collection and complementing the other two greatly. Right now, our artwork mix is approximately 70 to 80 percent fine art glass and metal sculpture, 10 percent original paintings, and 10 percent jewelry. We like this mix because it offers every client something to consider—something to add to their collection. ABN: Are there any notable placements of your artists’ work in museums or private or corporate collections? MFA: Absolutely. Our artists have had their work collected by celebrities, royalty, and prestigious museums and collections around the world. Elton John, the Duchess of Kent, the Glasgow Museum, the Victoria and Albert Museum, and the Corning Museum each have Layton’s work in their collections. Wilbat’s work can be found in the Rockford Art Museum, Noyes Museum, and the permanent collection at McDonald’s Corporation. With works at the Philadelphia Museum of Art, Art Museum of Greater Lafayette, Murano Collection, and private collections and galleries around the world, Silk’s glass sculpture enjoys a wide audience. 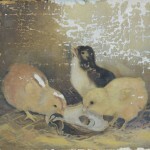 James’ work is in private collections both in the U.S. and abroad, as well as in the collections of the Seattle Art Museum, Apple Computer, Arizona State University, Rolm Corporation, and Koll Company. ABN: What impact has creating and being involved in the development of Mattson’s Fine Art had on you? MFA: We believe in supporting our artists and helping to bring new artists to the community. We help build their careers and fuel their continued success. The support we give is personal, from exposure and business counseling to supporting their emotional and financial needs. It’s our company’s form of philanthropy. The development of MFA is an ongoing endeavor. The level of artists that we are able to work with has continually risen higher. 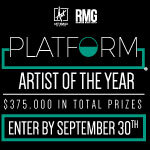 The amazing thing that is very rewarding and humbling is that the artists we represent actually advocate on our behalf. ABN: Can you paint a picture of what you would like the future to look like for Mattson’s Fine Art? MFA: In five years, we would like to have established a strong wholesale gallery business alongside a good corporate business. We will continue to build our business and attract additional artists by exhibiting at fine art shows across the country. Of course, we will always continue our support for the artists. Achieving this plan will give us a solid base that we believe will carry us into the next decade and beyond. ABN: Do you have anything else to tell our readers? MFA: The process of creating fine art glass is both time- and labor-intensive, but the results are so amazing and worth every bit of the effort the artist takes to create the piece. The method combines both hot and cold treatment of the glass. The surface is not painted; the color is literally extracted from the glass. The surface of the glass is covered with certain metal oxides. When heated close to the melting temperature of the metal oxide, color ions start migrating and penetrating the glass mass, thus creating an impression of delicate relief and a wide range of colors. Next time you look at a piece of art glass, stop to see how it was made and assembled, the colors involved, the painterly effects, and treatments that make it come alive. You’ll see why we are enamored with these beautiful art glass pieces that we are lucky enough to bring to the marketplace. 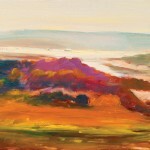 For more about Matson’s Fine Art, visit mattsonsfineart.com. With a career that spans 30 years, DECOR managing editor Linda Mariano is a leader in marketing, brand management, e-commerce, and promotion initiatives. Mariano’s expertise in the art and licensing industries has made her readily recognized for her strategic approach to integrated brand and business strategies. She can be reached at linda@redwoodmg.com.